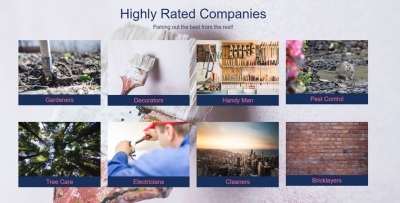 Welcome to HRC Directory we have some fantastic local companies listed with us so we hope you're sure you'll find what you're looking right here! Each business listed on HRC will have been manually accepted and their company reviews checked before being added to our site! We also try to avoid listings large national companies where services will be provided. Some of the shops and restaurants will be large chains. We operate a very strict policy when it comes to the customer satisfaction, if one of our advertisers receives a complaint which isn't adequately resolved they will have an amber warning flag placed on the advert, if a second complaint is received the company will be removed from HRC Directory!